Front Row Kneeling: Captain Darrell Hannah, Captain Mark Hannay, Fire Chief Brent Goodwin, Captain Troy Thompson, Lieutenant Warren Goodwin. 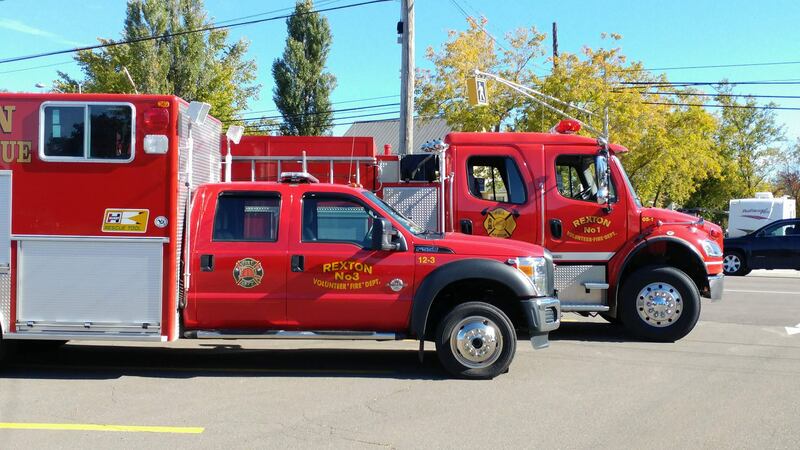 Second Row: Lieutenant Terry Murphy, Lieutenant Mike Hickey, Lieutenant Jason Mazerolle, Captain Dan Roberts, Captain Randy Warman, Safety Officer Laurie Caissie, Firefighter Robert Comeau, Firefighter Lindsay Warren. 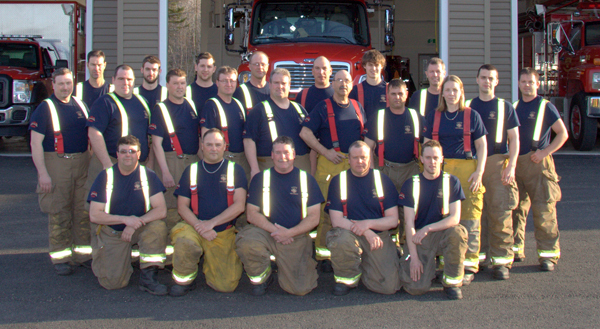 Back Row: Firefighter Dan Roy, Firefighter Carlin Arsenault, Firefighter Adam Carruthers, Firefighter Chris Lawson, Lieutenant Craig Vautour, Firefighter Kyle Jones, Deputy Chief Dean Hannay, Firefighter Geoff Bateman, Firefighter Matt Arsenault. 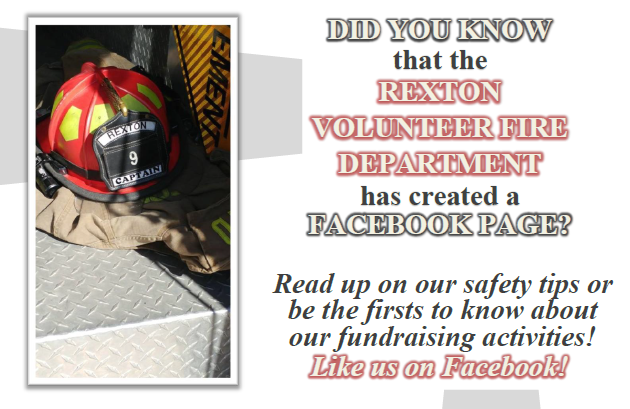 Our firefighters proudly serves the residents of Rexton!